Patches? Patches? We need new stinkin’ patches! In addition to overhauling my Dieselpunk costume this year we get new patches. With the help of Colonel Shrike, I designed and ordered new patches for the squad. Shrike has been asking for a Unit Patch for a couple years and we finally delivered. We have been buying our patches from Color Patch for as long as we have been Dragonfly. The large patch below is our main cosplay patch. The orange patch is our unit patch. 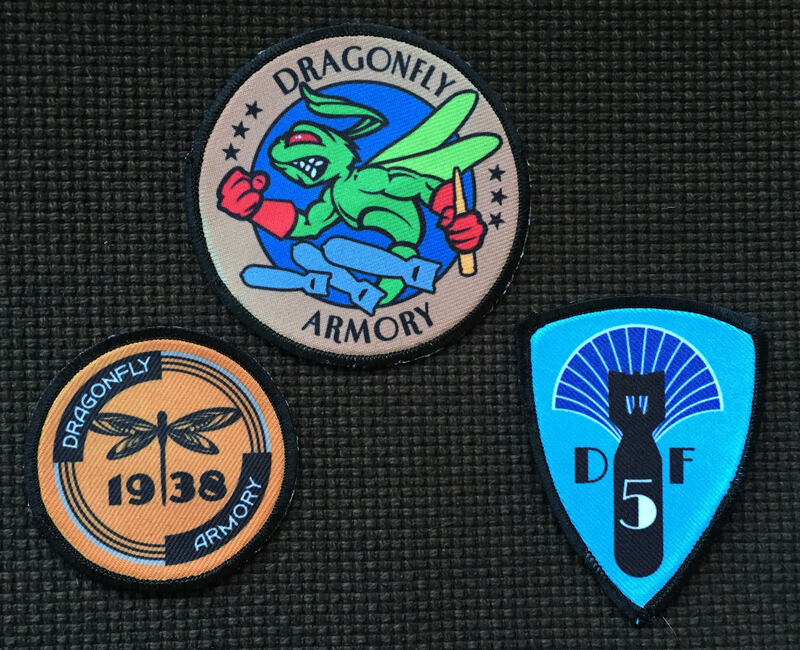 And lastly the blue shield patch is to celebrate five years of Dragonfly Armory membership. All three patches have a little art deco flair in their designs. I accomplished this through the use of art deco fonts and motifs.